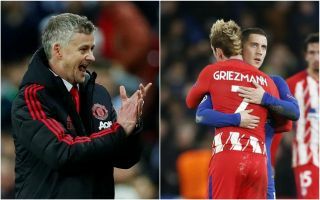 Manchester United are now odds-on with Ladbrokes to seal the summer transfer of Atletico Madrid forward Antoine Griezmann. The Red Devils are now priced at 10/11 to be Griezmann’s next club, ahead of other big names like Barcelona, Paris Saint-Germain and Bayern Munich. This follows links from the likes of Sport stating Man Utd are currently leading the chase for the France international’s signature, while Marca report his release clause will drop to a tempting £103million in June. That shouldn’t be too much for United to pay as they look in need of new attacking players this summer after the dire form of Alexis Sanchez since he moved to Old Trafford. Griezmann could be ideal to fill that role, while the Daily Mirror suggest they could spend a similar amount on trying to sign Jadon Sancho from Borussia Dortmund. Meanwhile, the Independent have also linked MUFC with Barcelona misfit Philippe Coutinho.